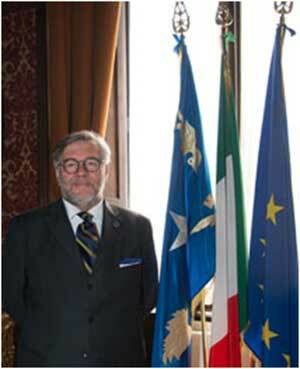 The main election slogan of the “government of change” was that Italy should become more independent in resolving its domestic problems and securing its interests in the international arena. The key domestic issues were economic development and migration. The primary foreign issues were ensuring border security and building economic relations with countries outside the EU based on the interests of Italian business. This agenda was largely dictated by actual public demand. According to research, between 2013 and 2017, the share of Italians who view border security and curbing migration as the key national objectives ballooned from 30% to 66%. By the time the new coalition came to power, a majority of Italians disapproved of the migration policy being pursued by the previous center-left government and perceived a direct link between illegal migration and terrorism. The number of persons deported on suspicion of extremism had skyrocketed, from just two in 2002 to 106 in 2018. Polls conducted in 2017 and early 2018 indicated that 82% of the population did not believe that Italy could have any influence whatsoever on the drafting of a common European policy. Ever since coming to power, the “government of change” has been persistently trying to influence changes to the EU migration policy. On the eve of the June 28–29 EU summit in 2018, Italy stopped allowing ships carrying rescued migrants to enter its ports and issued an ultimatum to Brussels, which included several specific proposals for creating “joint responsibility” for migration within the EU. The demands included a revision of the Dublin agreement; the maximum responsibility of the country of first entry; setting up EU-run migrant reception centers in coastal countries; and revising the rules of migrant resettlement between EU countries, among other things. After the summit, Giuseppe Conte stated: “Italy is no longer alone!” However, after a while it became obvious that the agreements that had been reached were as far from being implemented in practice as they had been in June 2018. The Ipsos statistical survey published in January 2019 indicates that one out of every two Italians (51%) supports the government’s hard line on migrants, including the closure of sea ports, and only 19% of the respondents are not opposed to migrants making landfall in Italy. In fact, 60% of those polled believe that the migration policy is the prerogative of the Italian people and not the EU. That said, society remains split as to the safety law, with 43% supporting Salvini and 38% opposing his move. In addition, 55% of the population sees a difference in the approaches to migration of the Five Star Movement and Salvini’s League, with only 25% considering them to be similar. In other words, Italians tend to mainly attribute the resolution of the migration crisis to Salvini, which certainly boosts the popularity of his party. According to surveys published on February 11, 2019, the League’s approval rating stood at 33.8%, whereas the rating of the Five Star Movement was at 23.3% and continuing on a downward trajectory. Salvini has promised to propose a new migration bill this coming spring, this one dealing with migrant labour and seasonal workers. In the economic sphere, however, the new government cannot yet boast about any breakthroughs. It came to power at a time when the country’s national debt amounted to a record 132% of GDP. The neoliberal course imposed on the country by EU financial institutions, Paris, and Berlin since 2011 had failed to help Italy overcome the 2008 eurozone crisis, which had effectively stripped Greece of its economic sovereignty. The 2016 and 2017 economic indicators are illustrative of why Italians chose a different course in March 2018 by supporting the Five Star Movement and the League. 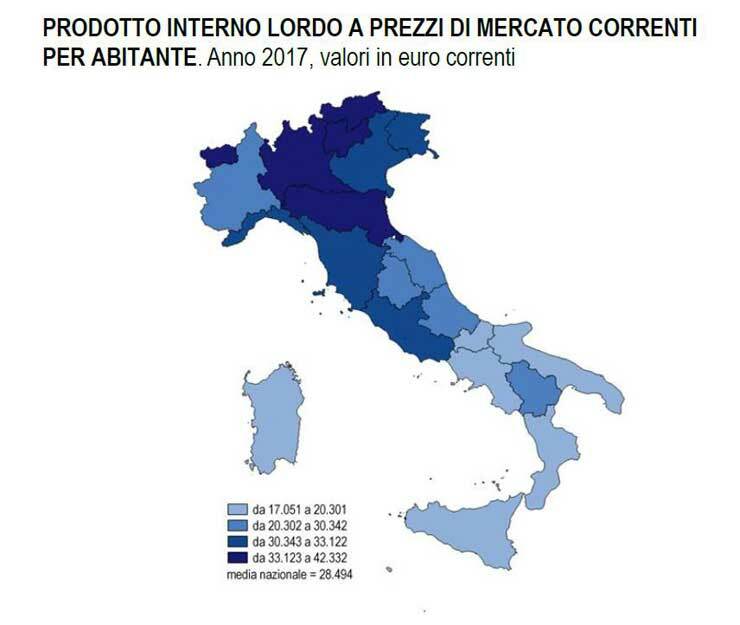 According to ISTAT, 46.1% of Italians could not afford a week’s leave in 2016; 16.5% could not afford heating in their homes; 14.6% could not afford to buy fish or meat every other day; and 32.4% said they were having difficulties making their monthly salary last until the next paycheck. 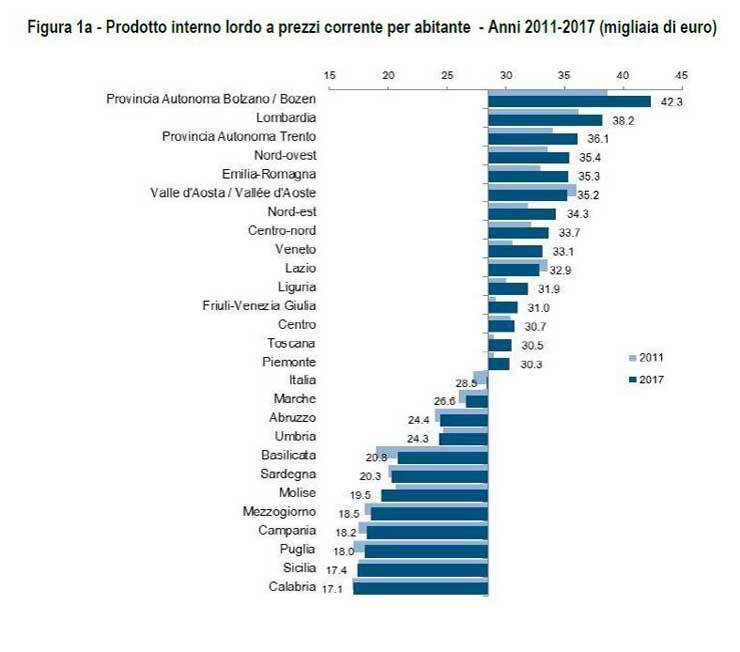 The intra-regional imbalance that is so characteristic of Italy has also refused to go away. In 2007, the difference in per-capita GDP between the southern and northern provinces stood at EUR 14,255; by 2015, it had grown to EUR 14,905. The unemployment disparity also grew, from 20.1 percentage points in 2007 to 22.5 in 2016. In 2015, 42.7% of those residing in the south of the country were living just above the poverty line. In this situation, the “government of change”, having garnered the support of about 60% of the electorate, began to revise the fiscal austerity measures imposed by Brussels and implement de-facto Keynesian policies primarily focused on social and economic support for the vulnerable strata of the population as well as for small- and medium-sized businesses. It should be noted that their election promises had been much bolder. In particular, while still forming the yellow-green coalition, the proposal for Italy pulling out from the eurozone was taken off the agenda, and Giuseppe Conte has since repeatedly stated that Italy is not considering this move. This is precisely why Paolo Savona, who had described the euro as “a noose around Italy’s neck”, was never appointed economics minister in the new government. Conte has also repeatedly stressed that Italy is not pondering an “Italexit”. Despite the significant backwards step taken on the euro and Italy’s presence in the EU, the protracted confrontation with Brussels that run from October through December 2018 resulted in the “government of change” adopting a 2019 budget which still fitted the logic of the coalition’s election promises. Even though Brussels did not allow Italy to set the acceptable budget deficit at 2.4% (the EU demanded 2.04%), the government still allocated financial reserves for introducing a guaranteed basic income for citizens, conducting a pension reform (the so-called Quota 100), and revising the taxation system, even in smaller amounts than originally planned. Meanwhile, Italy is now in a technical recession based on the negative GDP dynamics seen for six months in a row (GDP stood at -0.2% for 4Q 2018). EU officials immediately reacted along the lines of “I told you so!”; in February 2019, they issued an even more pessimistic forecast for Italy’s 2019 GDP, predicting growth of no more than 0.2%, the lowest figure among all EU countries. 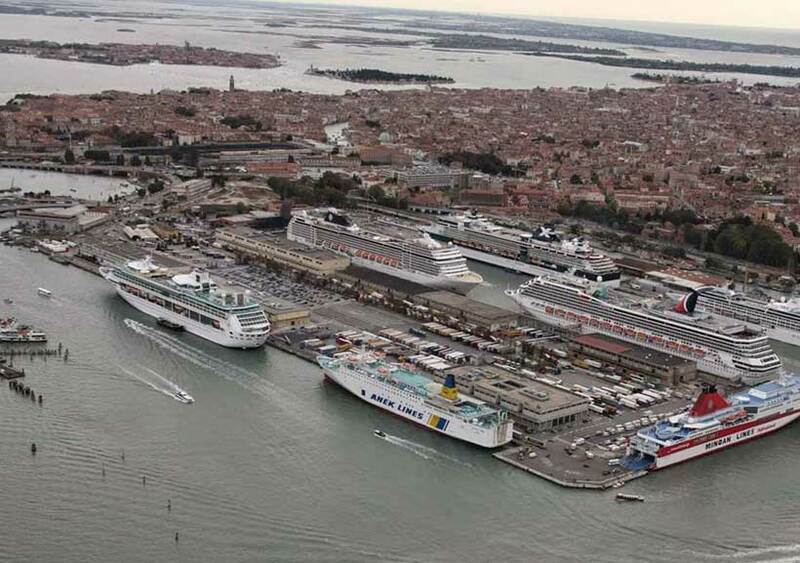 Pierre Moscovici, the EU European Commissioner for Economic and Financial Affairs, Taxation and Customs, promised that Brussels would be closely monitoring Italy’s economic dynamics. He added that the country’s economy was not yet demonstrating any signs of recovery, despite the new government’s measures to support domestic demand. Moscovici also noted that the EU had effectively rescued Italy from an even worse-case scenario by prohibiting it to adopt the original budget, which implied a deficit of 2.4%. The economic measures introduced by the Italian government at the very end of 2018 were not the main cause of the GDP slowdown in the third and fourth quarters of that year. Rather, it was caused by the economic policies that had been pursued by the previous governments. Nevertheless, the protracted conflict with Brussels over the budget plan and the threat of EU sanctions against Italy for its failure to comply with financial discipline rules certainly played a part in international rating agencies downgrading Italy’s ranking as well as in the increased volatility on financial markets in 2018. One thing is clear: if the economic situation in Italy does not begin to improve soon, this will give Brussels additional leverage in its fight not only against the Italian “sovereighnists” but also against Eurosceptic forces in other countries who are calling for a revision of the EU financial discipline regulations. Within Italy, people are seriously concerned about the economic situation: in late 2018, 55% of the population cited the economic crisis as the main threat to the country. A lack of positive economic changes soon could seriously affect the government coalition’s standing both inside and outside the country. Whatever the case, the EU will still have to rescue the Italian economy. This is understandable: if the UK leaves, Italy will become the EU’s third largest economy, accounting for 15% of the Union’s total GDP. However, Brussels is growing ever more reluctant to save Rome: the EU has built up too much criticism of Italy over the past nine months: not only over the country’s failure to observe financial discipline and its stern migration policy but also because Italy has been discrediting the EU in the international arena. Conte became U.S. President Donald Trump’s greatest supporter in Western Europe. Trump’s first visit to Europe began in Italy. In 2018, Conte and Trump met at the G7 and NATO summits. Trump visited Italy in May, and Conte visited the White House in July. The U.S. president described his Italian counterpart as a “really great guy” who “will do a great job,” adding that “the people of Italy got it right”. It is no secret that the two leaders share a common view on migration: Trump has repeatedly expressed his approval for the border security measures taken by the Italian authorities. Conte supported Trump’s calls in the summer of 2018 for Russia to be accepted back into the G7, although none of the other G7 member states supported the idea. Trump also delegated to Italy the authority to manage the Libyan settlement, which understandably annoyed France, Italy’s long-standing rival in that country. It is no secret that Paris, Berlin, and Brussels view the new Italian government and Trump as the same breed of leprosy, which must be fought at any cost. Italy’s relations with France had been steadily deteriorating under the yellow-green coalition. Things hit a diplomatic rock bottom on February 7, 2019, when Paris recalled its ambassador from Rome, citing months of “groundless attacks” by the Italian authorities. The last time such a thing had happened between the two countries was back in 1940, when Fascist Italy entered World War II against France and the UK on the side of Nazi Germany. This time around, the last straw came in the form of Italian Deputy Prime Minister Luigi Di Maio meeting with the leaders of the French yellow vest movement, who continue to protest the national authorities’ policies. France accused Italy of interfering in the country’s domestic affairs, but this came after Rome’s repeated allegations to the effect that France was violating Italy’s own national sovereignty. In March 2018, the actions of French police in an Italian refugee camp in Bardonecchia resulted in a major controversy. The countries continue to attack each other over migration issues. Macron described Italy’s refusal in June 2018 to accept refugees from the vessel Aquarius as “cynical and irresponsible”. Italy, for its part, regularly accuses France of deliberately returning migrants to the border with Italy near the town of ​​Ventimiglia. The ongoing squabbling affects bilateral economic cooperation: for example, Italy has been dragging its feet on a project to build a high-speed motorway between Lyon and Turin. 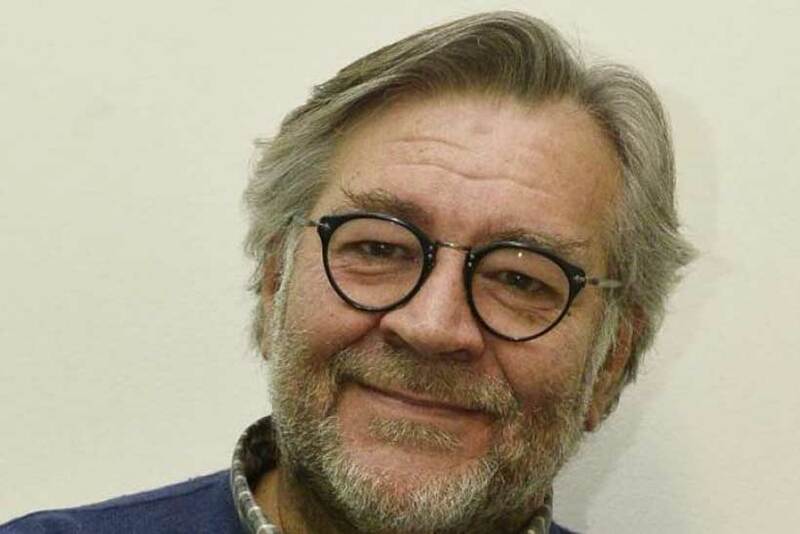 Most importantly, the scandal between the two EU founding states threatens pan-European solidarity on the eve of the European Parliament elections and is damaging the international image of the EU. By publicly accusing France of a “neo-colonial policy” in Africa, and by urging Brussels to intervene, Italy is undermining the EU’s authority as an international actor. Now that even the core EU member states prefer public conflicts to compromises, such behavior may soon catch on elsewhere across the Union, and all the differences that have been resolved quietly up to now may become widely known outside the EU. In addition, with the conflict rhetoric escalating within the EU core, the Paris–Berlin tandem is finding it increasingly difficult to promote its model of European integration as a more appealing option to the existing national-level sovereignty ambitions. 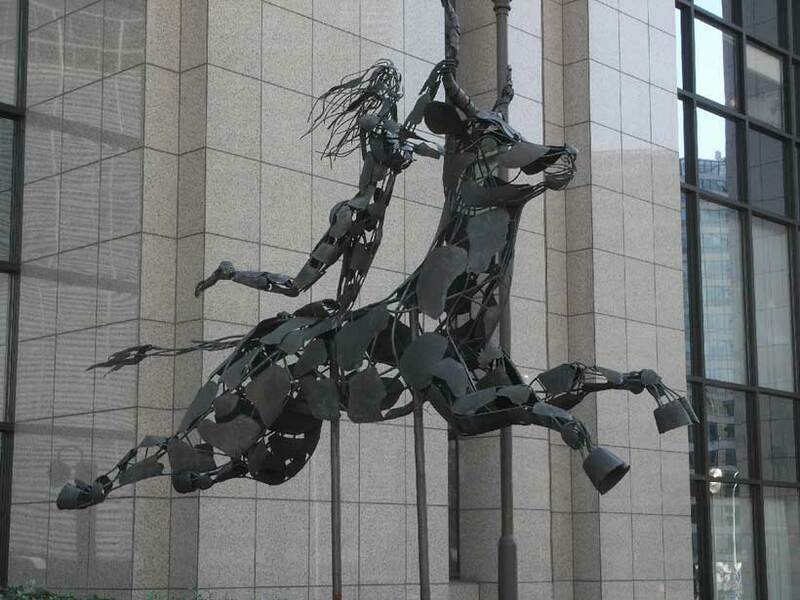 Brussels perceives Italy’s relations with Russia as another sign of the new government’s deviant behaviour. The new Italian authorities had begun calling for the lifting of EU sanctions against Russia even during the election campaign. Then they promised to bring the issue up at the EU summit in June 2018. However, even now, after the December vote to prolong the EU sanctions, Italy has not yet attempted to veto them. This is understandable: both in June and December 2018 Italy had to address much more important issues in terms of the country’s future development than relations with Russia. In the former case it was negotiating with the EU on migration, while in the latter Brussels was deciding on Italy’s 2019 budget. In both instances, Italy could not have possibly used its veto on the sanctions without losing bargaining chips on the other issue. Nevertheless, Conte’s high-profile visit to Moscow on October 24, 2018 resulted in the signing of new agreements on economic cooperation. Prior to Conte’s visit, Salvini had paid a visit to Moscow, where he met with Italian businesspeople operating in Russia. Italy is trying its best to return to the Russian market despite the sanctions, including by actively using the Made with Italy concept, which involves the launching of joint ventures and localization enterprises in Russia. However, these efforts to date have only resulted in mutual trade being restored to half of the pre-sanctions level, and the Italian government is very much annoyed by the fact that France and Germany – consistent supporters of the sanctions – effectively hold a much greater portion of the Russian market. It has been recently reported that Russian President Vladimir Putin will make an official visit to Italy in the first half of 2019 at Conte’s invitation. Should the visit take place prior to the EU parliamentary election, then Russia may well come under criticism for its alleged attempt to once again meddle in the EU’s internal affairs, divide the Union from the inside, and provide support to European pro-sovereignty forces ahead of the polls. Another topic of extremely high relevance to Rome is energy cooperation with Russia, which supplies 40% of all gas consumed in Italy. Gazprom’s 2018 exports to Italy exceeded the volume supplied to Turkey and ranked only second to deliveries to Germany. The possibility of extending the TurkStream pipeline to Italy via the Balkans will most certainly be discussed in 2019, which could provoke a new confrontation with Brussels, which seeks to reduce dependence on Russian energy while preserving the share of transit via Ukraine. Another irritating factor for Brussels is the northern Italian regions’ interaction with the authorities of the so-called Donetsk and Luhansk people’s republics (DNR and LNR) as well as visits by northern regional delegations to Crimea and Russia’s Krasnodar region. Back in May 2016, the council of the Italian region Veneto, whose capital city is Venice, recognized Crimea as part of Russia. The DNR’s second Italian representative office opened in Verona on February 9 this year (the first was had opened in Turin in 2016), and another Italian delegation is expected to visit the Krasnodar Territory in the spring of 2019. 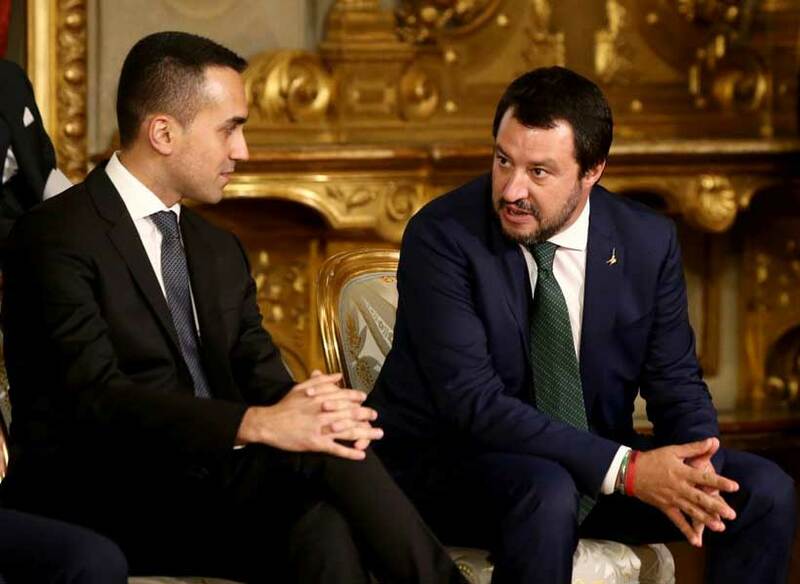 Political turbulence and frequent government changes have become integral features of the Second Italian Republic, with both Europe and the world now accustomed to these factors. Little wonder, therefore, that even before the new “government of change” actually came to power, people both in Italy and in the EU started wondering how soon the yellow-green coalition would collapse, the assumption being that a political coalition cemented by a common aversion to the EU could not possibly form a reliable foundation for any long-standing cooperation between the right- and left-wing populist forces.